Core Business. 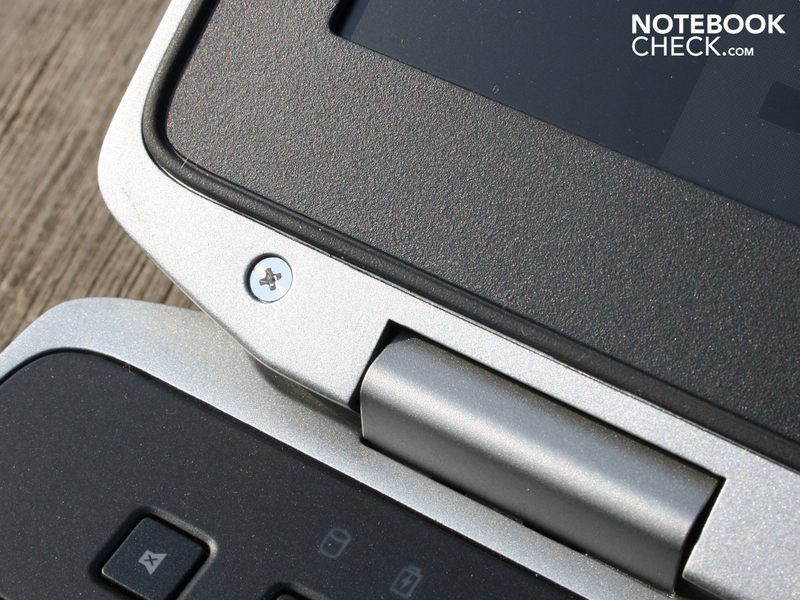 Productively focusing on your work is to be made possible with a Latitude E6520. 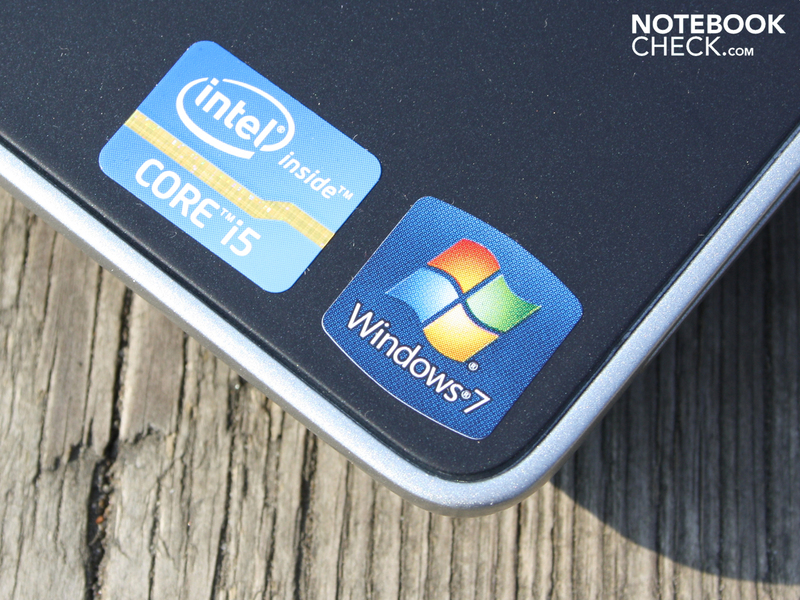 In review: The basic version with an i5-2410M CPU, incorporated graphics and HD display. You can find out why "Very Good" was missed slightly in this review. A case that complies with the military standard 810G, splash water proof keyboard, battery alternatives up to 97 watt hours and extendability via a module bay and ExpressCard54. 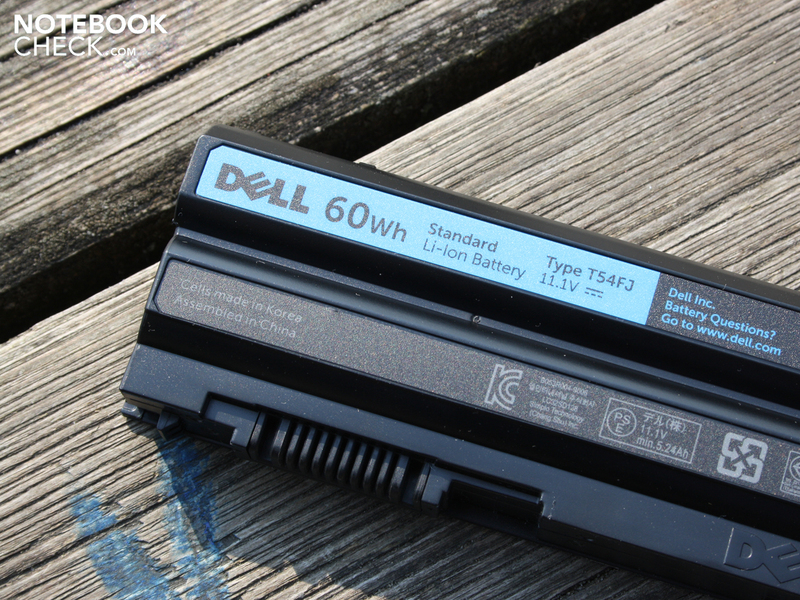 Dell's mainstream business range doesn't come short when listing its upsides. 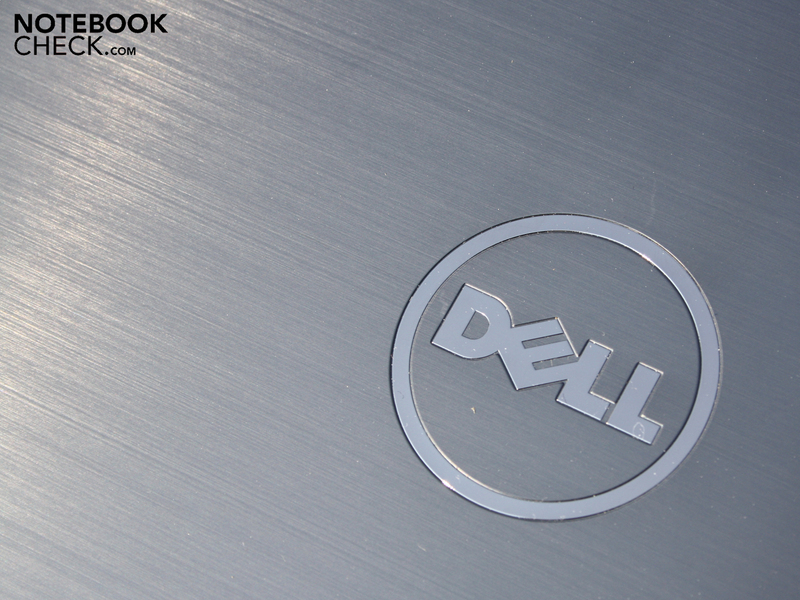 Such qualities are to make the 15.6 incher apt for the promised long life cycles of Dell's Latitude range. 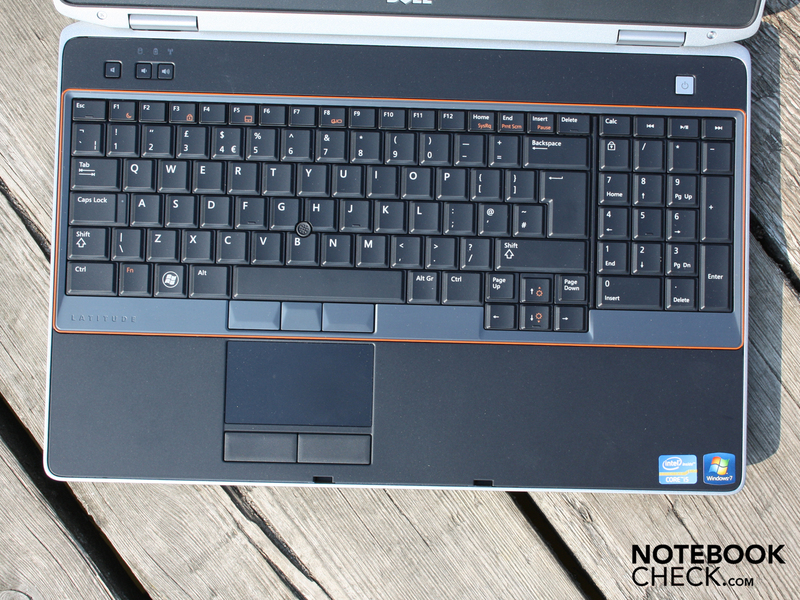 Discover in this review if the entry level version of the Latitude E6520 (Intel Core i5-2540M, Intel HD Graphics 3000, 250GB, HD resolution) proves to be a strong business companion. The price in the manufacturer's online shop is currently 1236 euros. The weight of 2819 grams is heavy to handle, but the robustness of the bulky construction compensates for this drawback. The manufacturer has opted for high-end, heavy materials. We can't deny that the E6520 has a certain touch of everyday ruggedness. We can't twist the case even a bit with force. Wrist-rest, keyboard and base plate fit firmly everywhere. 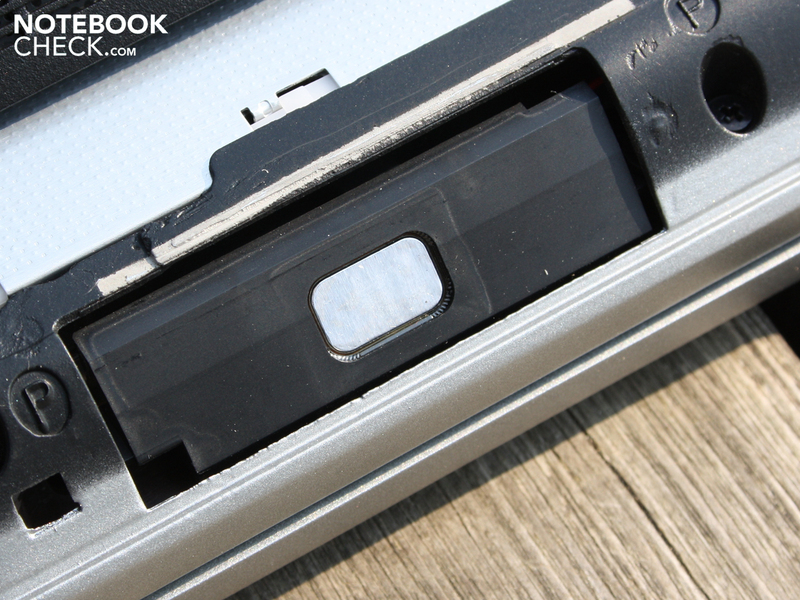 Even the area beneath the DVD drive, which is often a weak point, can defy dents caused by pressure. 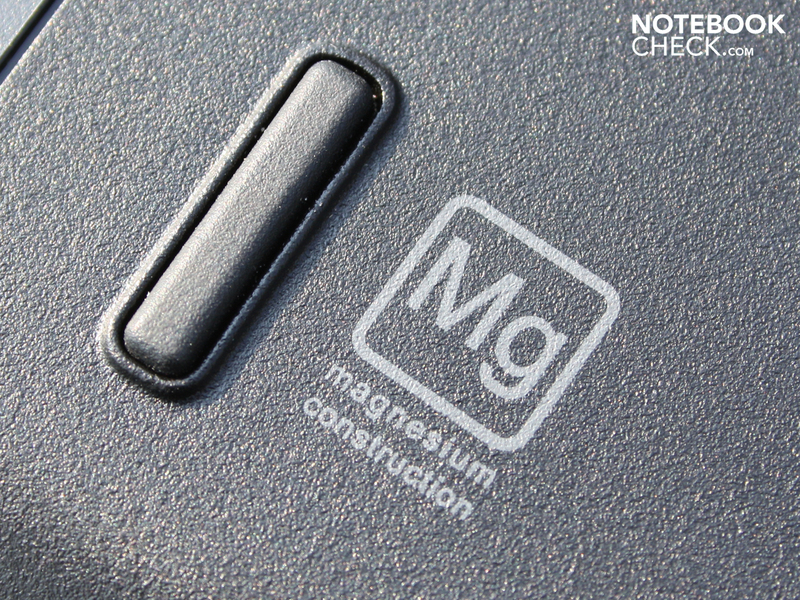 Nevertheless, we find an exception when looking at the wrist-rest. The right area of this inserted plastic plate can be depressed by one millimeter with force. The surface has a bit of elbowroom underneath. The lid's stiffness is well made. We can only warp it marginally when it's picked up at the corners. 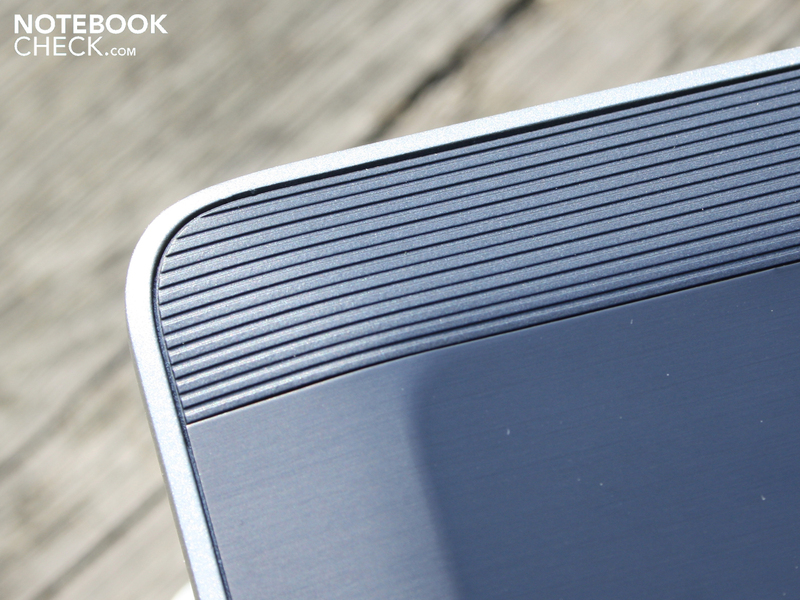 The surface is made of brushed aluminum (anodized), which even can only be depressed slightly in its center. Fingerprints are hardly visible. However, they adhere and can only be removed with difficulty with a cleaning cloth. 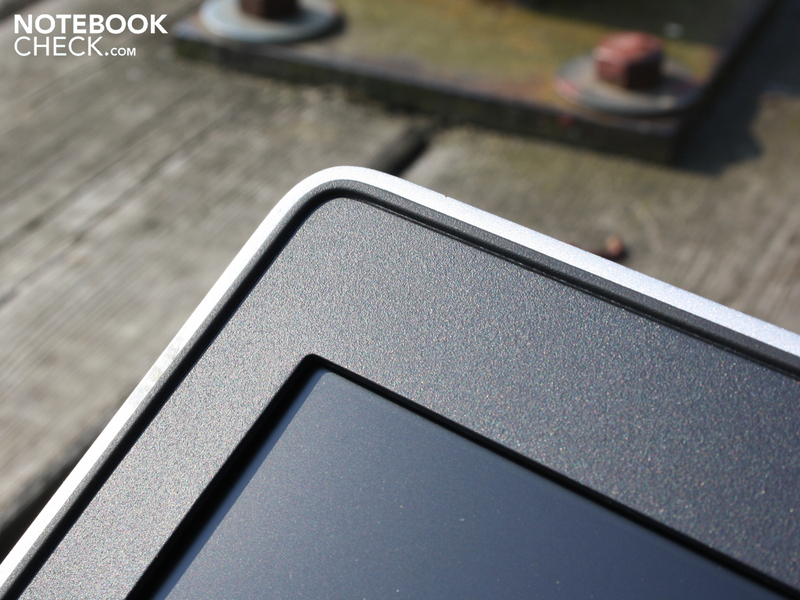 The surfaces (anodized aluminum, powder coated magnesium alloy) have a cool feel and are scratch resistant. The wrist-rest has a thin rubber coating and does therefore have a very good grip. The scratch resistance is very good here, as well. 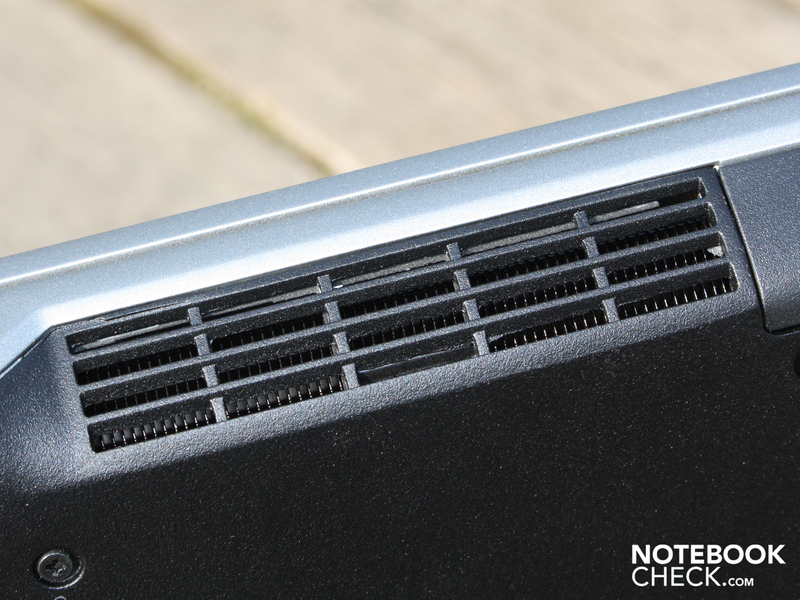 Dell relies on full metal (massive) for the hinges. The hinges are pulled very tight to the base unit. They hold the lid securely and it hardly teeters. One hand has to hold down the base unit due to the high force needed to open the lid. The Latitude E6520 presents special connection options that are appreciated by professionals. 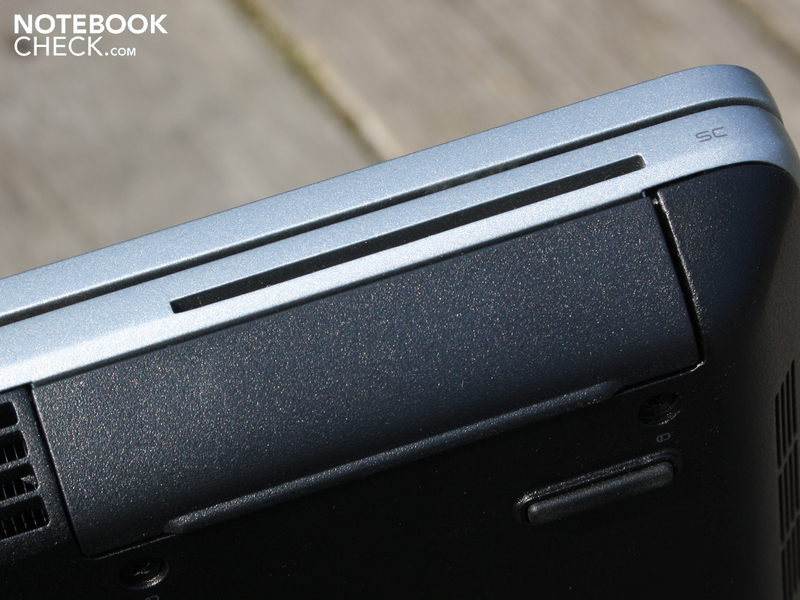 First, the conventional mounting of the lid allows placing ports on the rear. 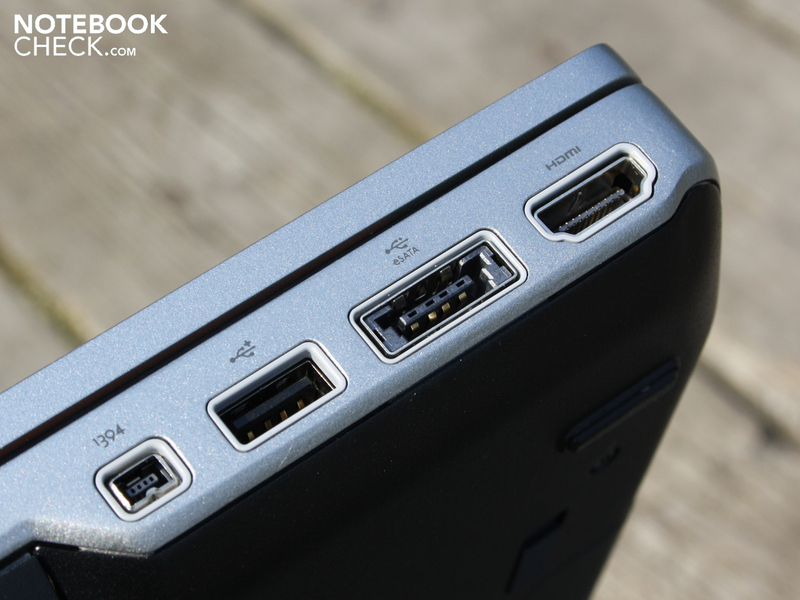 Beside the power adapter socket, the Kensington lock, Ethernet and USB 2.0 are located here. 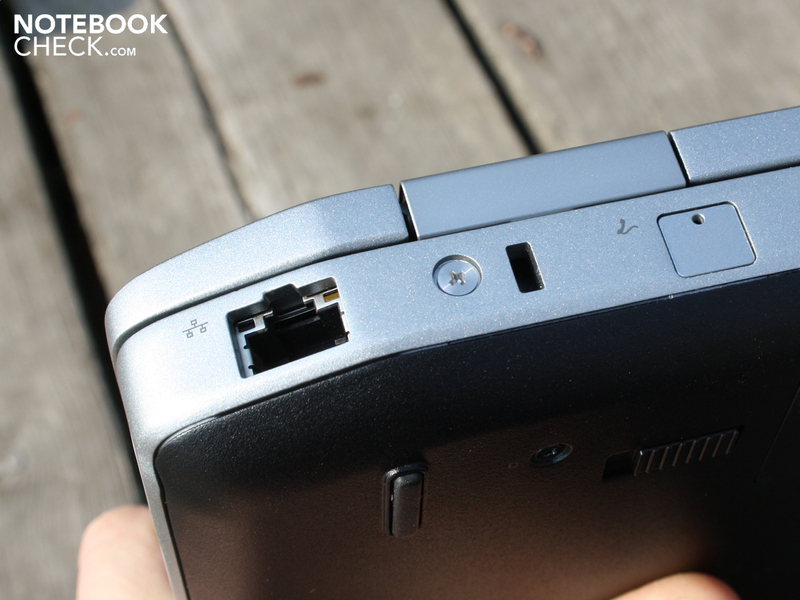 The power plug is bulkier than would be necessary, but it is at least at the back. The sides look less crowded and the cable mess on the desk is reduced when the side away from the user is used. On the right, we find a rare ExpressCard54 slot. Expansion cards (interfaces, TV cards, flash memories) can be inserted here. ExpressCard34 also fit. The usually standard audio sockets have been reduced to a combined headphone/microphone socket. 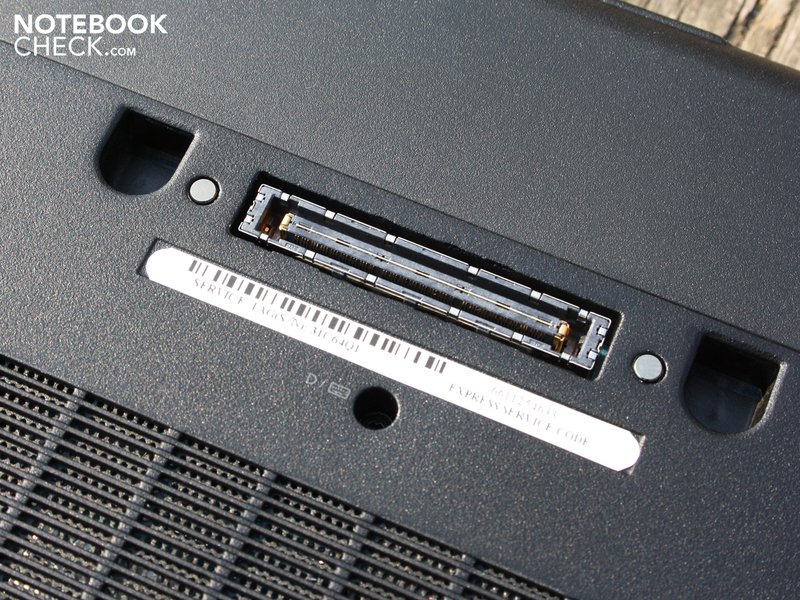 Screws are used for the VGA port, which is a feature that is only found in few ThinkPad models. The eSATA port can be used for fast data transfer with an external eSATA hard disk, just like the FireWire beside it. 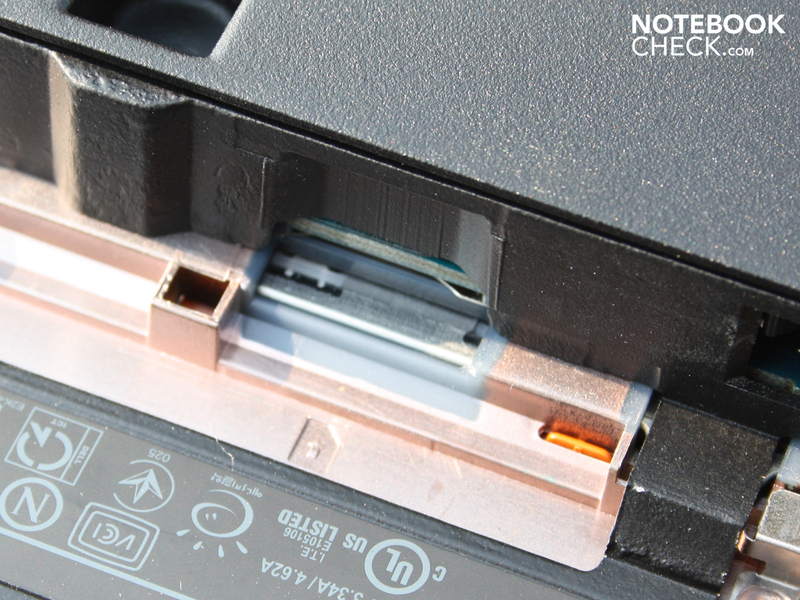 USB 3.0 isn't installed, but can be retrofitted via the module bay according to Dell. In this case, the DVD drive would be omitted. 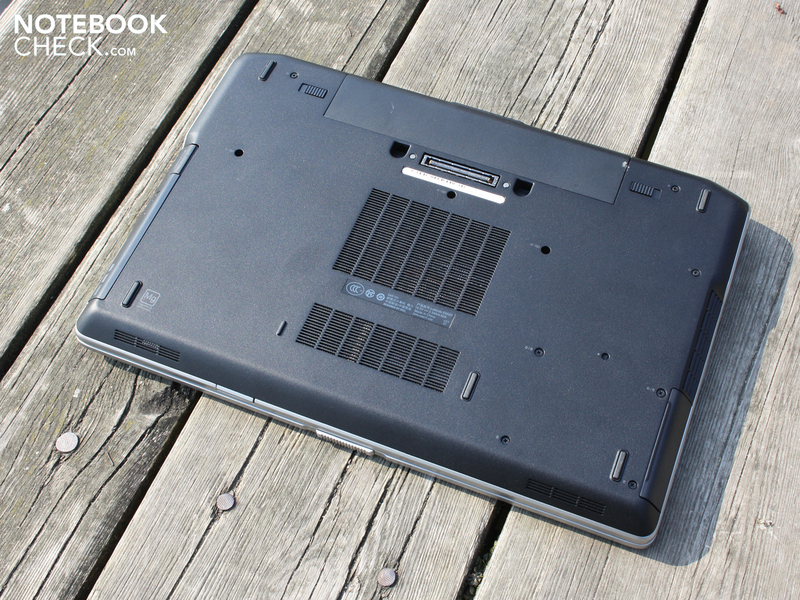 The Latitude E6520 can offer the entire range of communication technologies as a business laptop. Since we have the basic version, there is neither Bluetooth nor a HSDPA module installed. A corresponding mini PCIe socket as well as SIMCard slot is empty. 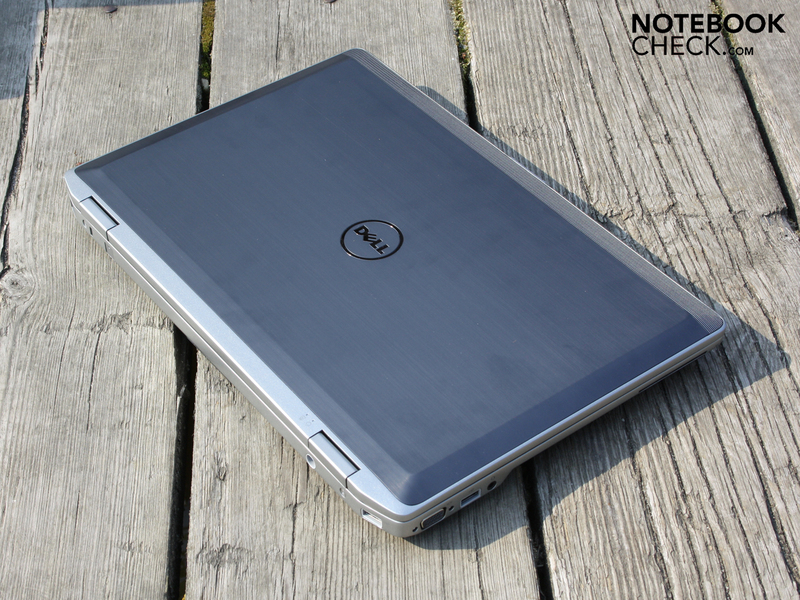 The E6520 of course has WLAN according to standard draft n specifications (Dell Wireless 1501) as wireless technology. Additionally, an Intel 82579 LM gigabit controller is installed. 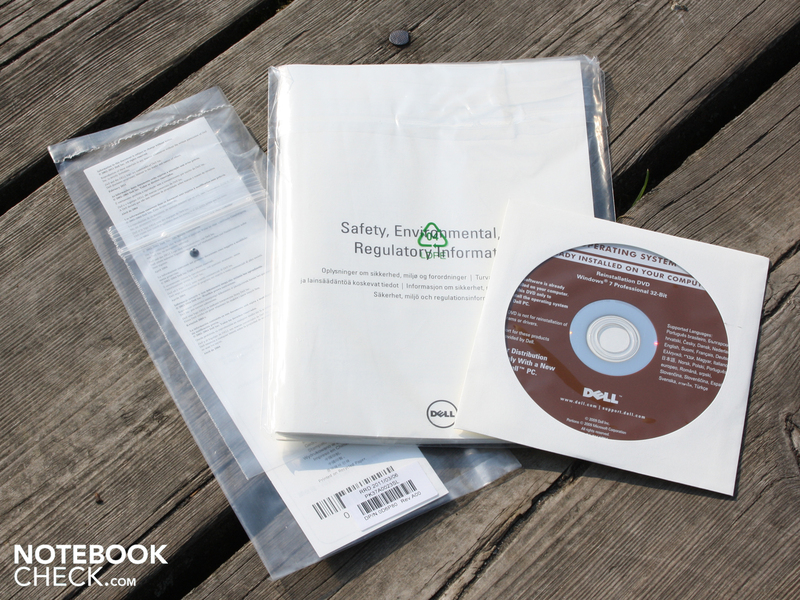 Dell's data protection tool and the backup and recovery manager belong to the installed security tools. 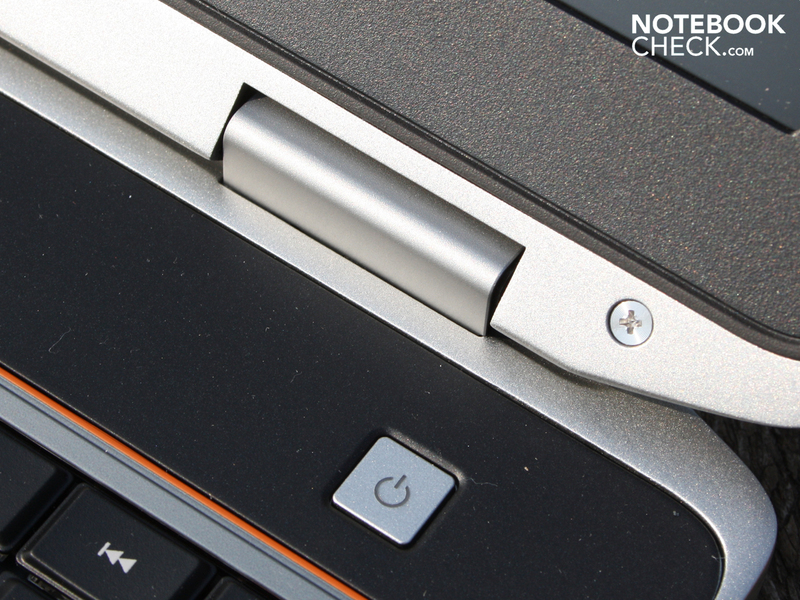 The Trusted Platform module or fingerprint reader is unknown to our E6520 version. Merely a Kensington Security Slot can be used with the correlating steel cable can be used for protection against theft. There's not much in the box, but there is at least a recovery data carrier for Windows 7 Home Premium 32 bit. The user therefore doesn't have to burn recovery DVDs with his own blanks, as common for most manufacturers. The backup and recovery manager is recommendable if you'd like to backup your arduously set up system. Tediously connecting all cables becomes unnecessary with Dell's Advanced E/Dock docking station (about 140 Euro). The user would be extensively equipped with serial, parallel, two PS/2, four USB, VGA, DVI, S-Video, audio, RJ45 and RJ11 (two flat screens). 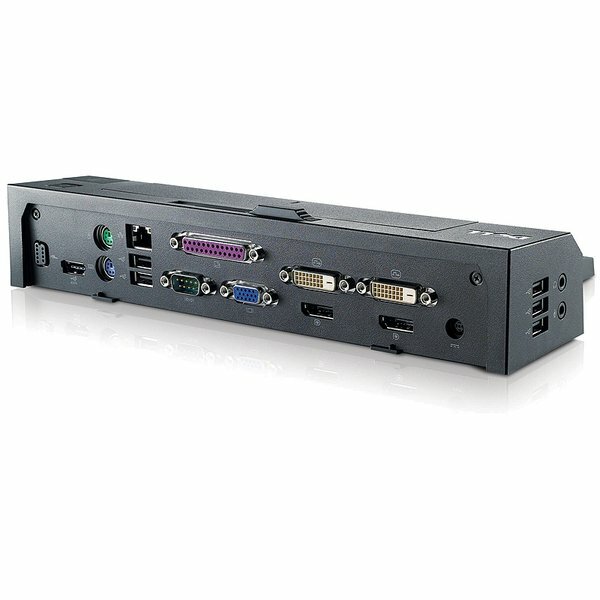 If you don't need so many ports, you can choose the Dell 200-70680 Simple E/Dock docking station (about 120 Euro). The smaller alternative supplies 5 USBs, eSATA, LAN, VGA, DVI, display port, and audio. The standard warranty ex-factory adds up to 3 years (service on the next business day). Upgrades are available at Dell's for a surcharge, for example the 3 year Pro Support with onsite repair on the next business day and hardware repair support. The keys supply a very good feedback due to their crisp pressure point and long key drop. 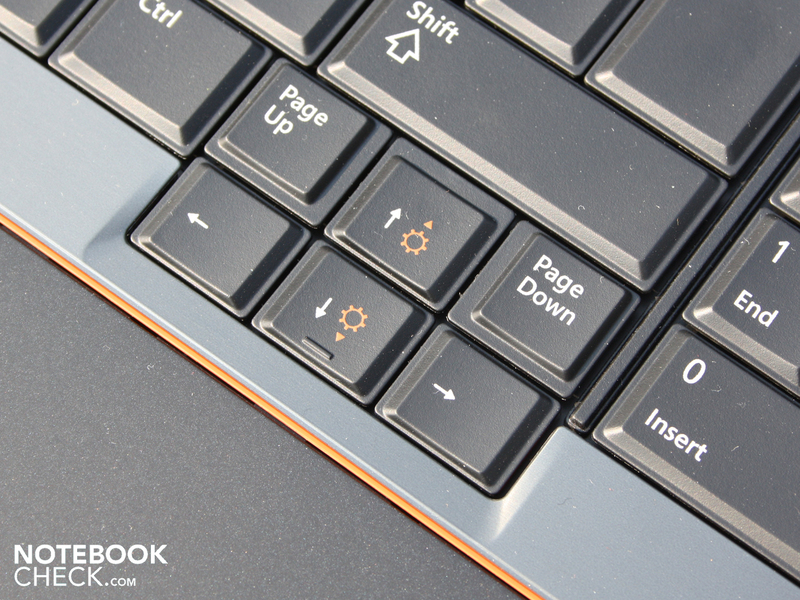 The clearly separated arrow keys (plus page up) protrude out of the keys rectangle and can thus be used without looking. 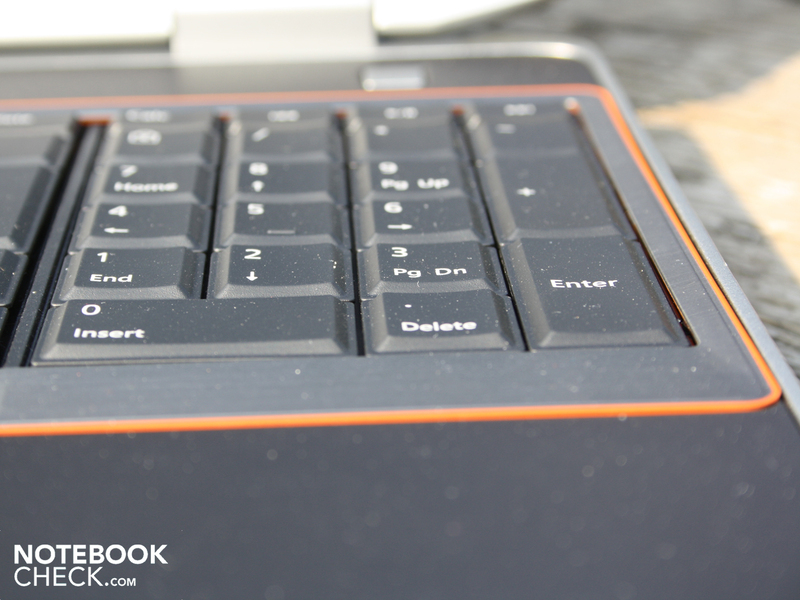 A separated number pad (spatially separated) designed like in a desktop keyboard finishes off the typing array. However, we really get enthusiastic when it comes to the pleasant typing qualities. 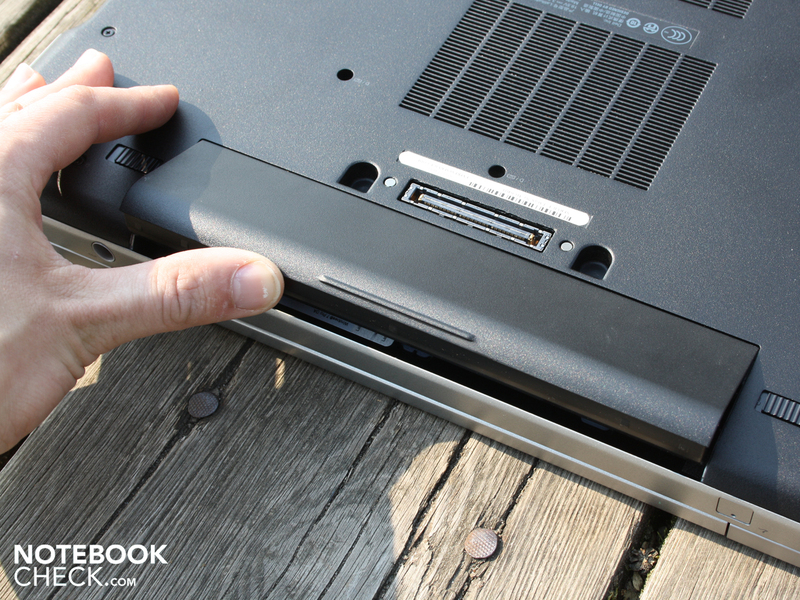 The Latitude's key bed is fitted absolutely tight, even over the DVD drive. It bids the typist a firm stroke (not hard). The keys are non-slip and the fingers can find their way around accurately due to the clear, conic concavity. On the whole, Dell has succeeded in implementing the advantages of a large desktop keyboard as good as possible into a 15.6 incher. 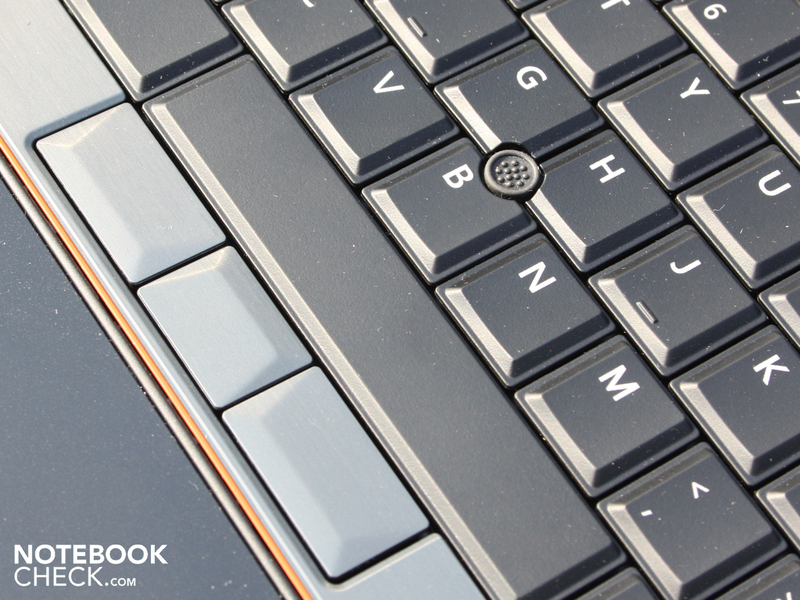 The keyboard backlight is not included in our low priced E6520 version. The ode of praise continues with the mouse replacement. 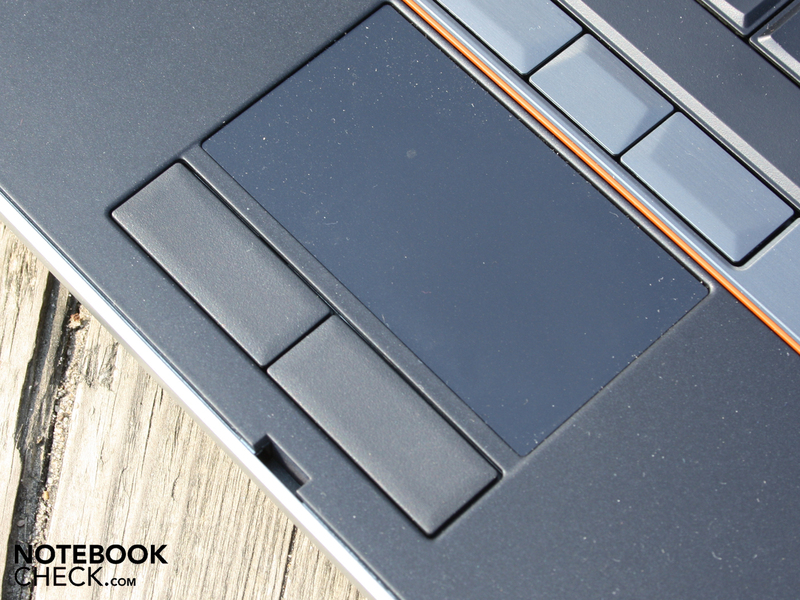 Dell speaks of dual pointing because there is a point stick (3 keys) in addition to the multi-touchpad. This dual mouse input device is also standard in ThinkPads and HP's Elitebooks. The hands don't have to leave the keyboard to move the pointer. Instead they move the mouse from where they are. This increases the work speed. Touchpad use is convincing across the bench. The noiselessness and the large, smooth key drop ensure fast use. The touch surface is pleasantly smooth, but not slippery. The pad is sufficiently sized with a diameter of 9.1 centimeters. 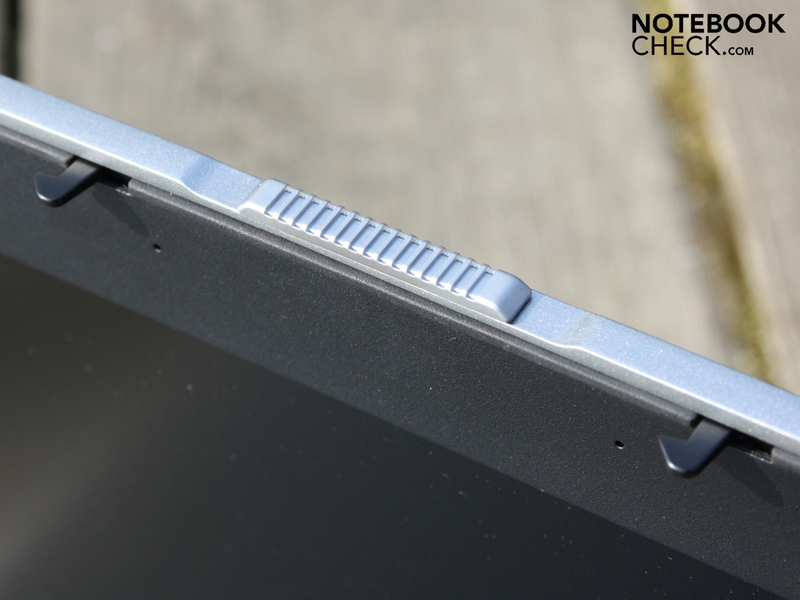 It is sensitive up to its edges and can be individually modified (scroll bars, gestures, sensitivity). The matt LED screen (model: PPCTF-156WH4, no manufacturer data) has a resolution of 1366x768 pixels in consumer style (16:9). The 4:3 business format hasn't only become obsolete by Dell. The WXGA resolution (HD Ready) has a coarse resolution for a 15.6 incher. However, it could be the right choice depending on the user's requirements. The majority of users, or professionals, will opt for the optional 1600x900 or 1920x1080 pixel resolution (HD+/FHD, +29/49 euros). The assessed black value is 1.93 cd/m2 which results in a very poor contrast of 122:1. 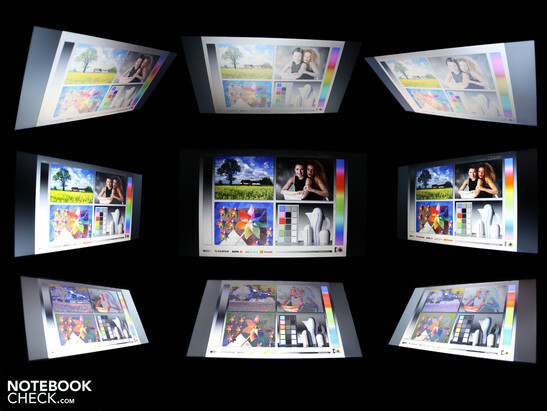 The HD screen's color spectrum is small. AdobeRGB (t) is missed clearly and the same applies to the sRGB (t). We present the E6520's optional Full HD screen (t) for comparison (third picture). The Full HD display at least covers the sRGB completely (see review: E6520 i7/FHD). We can't make predictions about the HD+ alternative. Dell speaks of a "premium display". The anti-reflective WXGA screen and the viable average brightness of 223 cd/m2 create the basis for daylight use. However, we quickly notice that the brightness could be much better in direct sunlight. Moreover, the narrow viewing angles become obvious in the sun. Thus, the E6520 isn't the perfect companion for use in the park or in the café, but it is useable. 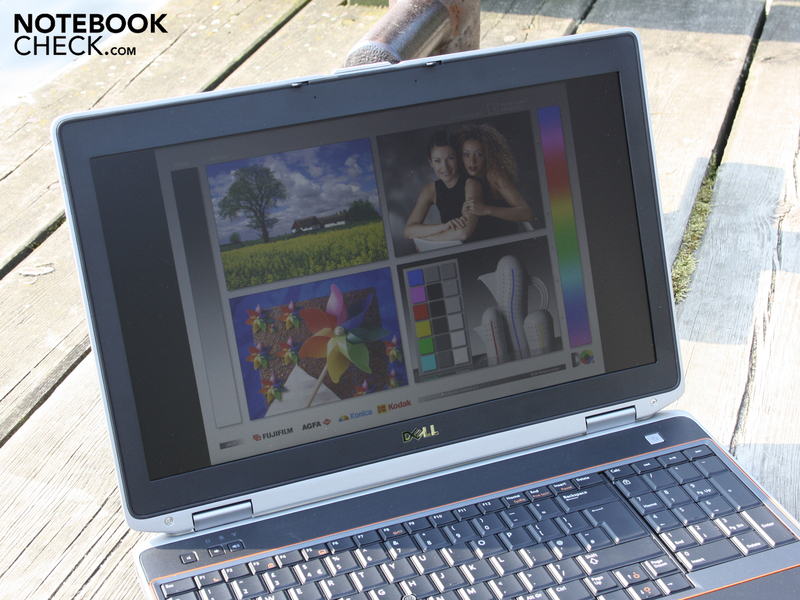 A laptop needs stable viewing angles so that users can see colors and script from the side or above in constant brightness. 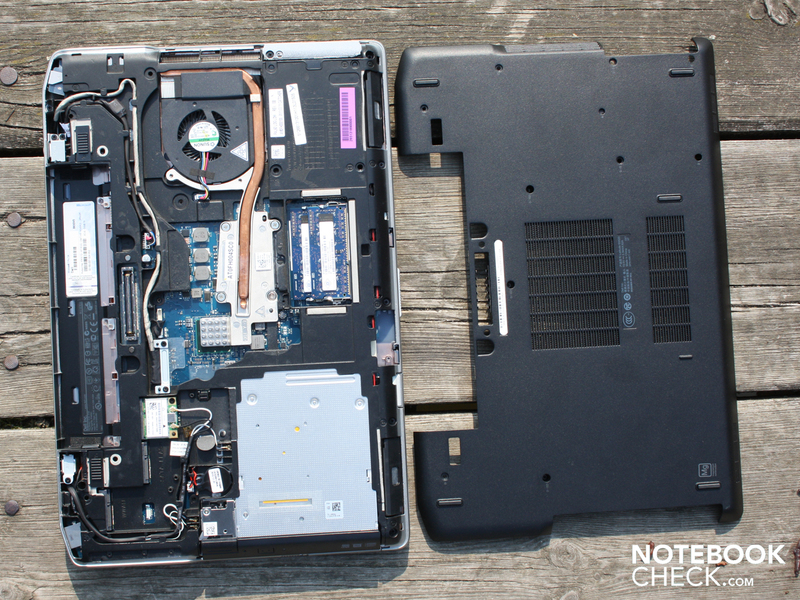 Office laptops typically have very poor viewing angles, in particular in the lower and middle price ranges up to 1000 euros. The Latitude doesn't belong to the low-end range, but the HD screen originates from this division. The viewing angles have turned out very tight. Ghosting turns up at 20 degrees when the eyes deviate upwards or downwards (vertically). We can only deviate up to 45 degrees from the center towards the left or right (horizontally). Beyond that, the colors clearly invert. If you want wider viewing angles and a larger color gamut, you will have to opt for the E6520's Full HD alternative. The Sandy Bridge CPU, Core i5-2540M (2x2.6 GHz) is a business processor with AES functionality (fast encryption) and an improved dual channel DDR3 memory controller (max. 8 GB DDR3-1333MHz). The Turbo clock is 3.3 GHz and can go beyond that within the Turbo 2.0 concept framework. The 2011 Intel Core processors can increase the turbo clock with the "Dynamic Range @ Turbo Frequency Limits" once more, if the cooling doesn't exceed certain temperature limits. The HD Graphics 3000 graphics chip in the processor (650-1300 MHz) is solely responsible for the video output. The E6520 can optionally be bought with an Nvidia NVS 4200. The RAM configuration is standardly 4 GB. Six or eight gigabytes can also be selected. 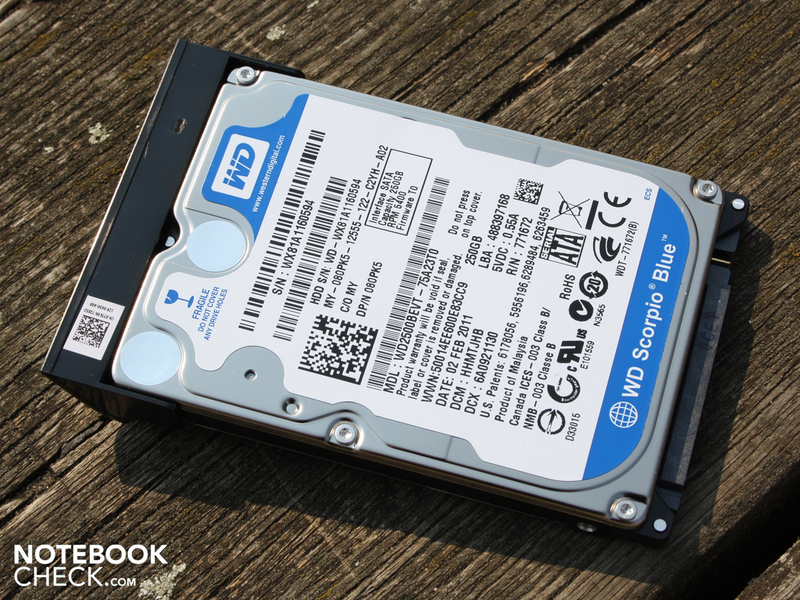 A Western Digital hard disk with a capacity of 250 GB (5400 rpm) in the lowest priced model (WD2500BEVT-75A23T0). 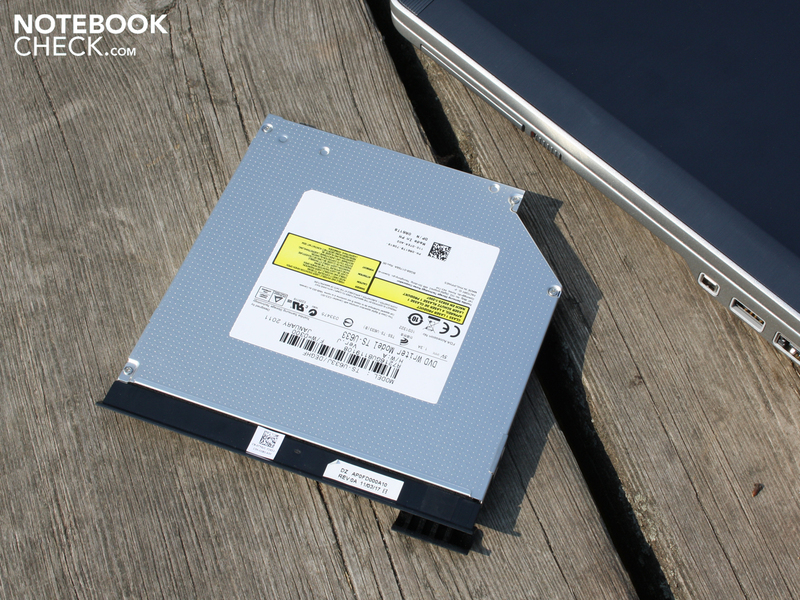 A 256 GB SSD or a fast rotating 500 GB HDD is optionally available. Would the i5-2540M (2x2.6 GHz) be enough, or should it better be the optional Core i7 2720QM (4x2.2 GHz)? The 2540 achieves 4228 points when calculating with one core. The 2720QM reaches 4138 points (Cinebench R10 Single 32bit). The quad core doesn't have an advantage here (-1%). It looks different in Cinebench R10 Multi 32 bit. The i5-2540M (4 threads) achieves 9154 points. The 2720QM (8 threads) reaches 14273 points (+36%). The single core calculation mentioned first is hardly significant for routine work. If you benefit from multi-thread computing power (e.g. video rendering, picture editing), you'd be better off with the quad core. PCMark Vantage finishes with 6629 points. That is a fairly weak score in comparison to current Sandy Bridge laptops. For example, a XMG A501, with the same CPU, achieves 13934 points. 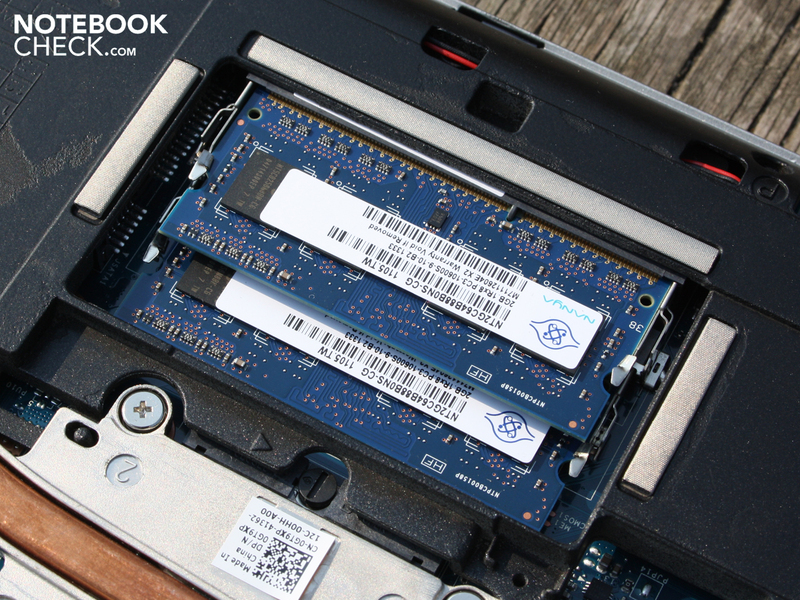 However, the comparison is unfair since the XMG works with a fast SSD and dedicated GeForce GT 540M. The i7-2720QM systems without a dedicated GPU previously tested achieved 8548 points in this field (Asus N53SV, HDD). If you are going for speed, you should select the quad core or, at least, the HDD with 7200 rpm, respectively the 256 GB SSD. PCMark Vantage's HDD score is namely low (2561 points), which is due to the slowly rotating 250 GB hard disk from Western Digital (5400 rpm). It merely achieves a data throughput of 59 MB/s in read. CrystalDiskMark shows 61 MB/s (read). The E6520 version with 7200 rpm achieves 81 MB/s in HDTune. Nevertheless, the slow hard disk has an advantage: It is always quiet in idle and during a lot of activity. 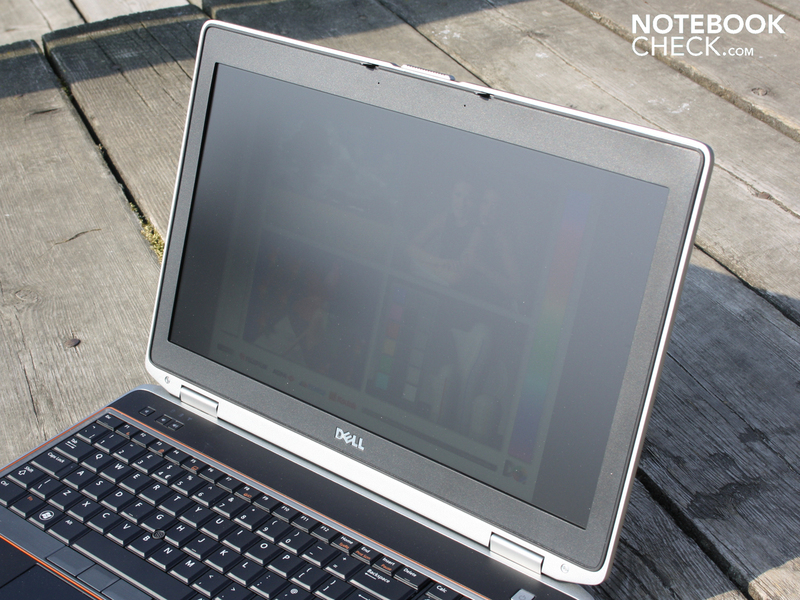 Dell's 15.6 incher copes well with the system noise. The fan is inactive for a longer period in idle or while surfing on the Internet. In this case, we measure 30.1 dB(A), which is the hard disk's base noise. You'll only be "disturbed" with 33.7 dB(A) when watching a movie. That is a comparatively low rate for an optical drive. It also only rotates with 37.3 dB(A) in the stress test (Furmark/Prime95). The fan rotates consistently during even load. Praiseworthy: The fan drops to 32 dB(A) within 15 seconds after the load is finished. 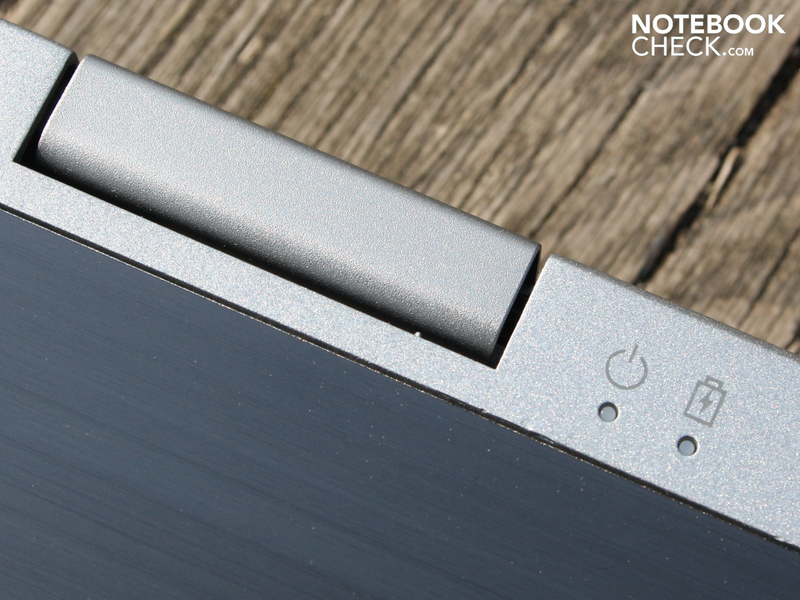 The 15.6 incher isn't at all bothered by 3D load, processed by the Intel HD Graphics 3000. The level merely rises to 31.7 dB(A), which is even quieter than the subtle clicking noise from the hard disk's write and read heads. Partial success in emissions isn't enough. The temperatures stay low at all times. Even the stress test of several hours doesn't manage to raise the waste heat on the surfaces beyond 34 degrees Celsius selectively (bottom: 38 degrees). The top even stays surprisingly cool during stress. The bottom's average temperature is merely 25 degrees Celsius during word processing and Internet surfing. The wrist-rest is within an acceptable range with about 24 degrees in this case. 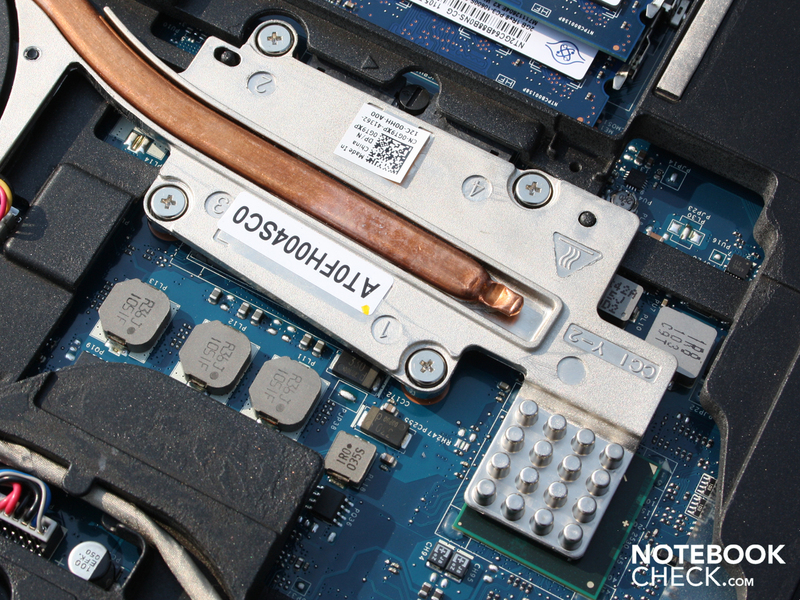 The CPU's maximum temperature proves that the E6520 must have an efficient cooling system during load. The internal sensors measure just as uncritical rates. Both speakers beneath the wrist-rest (in the direction of the user) create midrange-heavy sounds and neglect low pitches. Nevertheless, the sound quality is impressive for an office laptop. A conference room can be filled with sound with the good maximum volume. 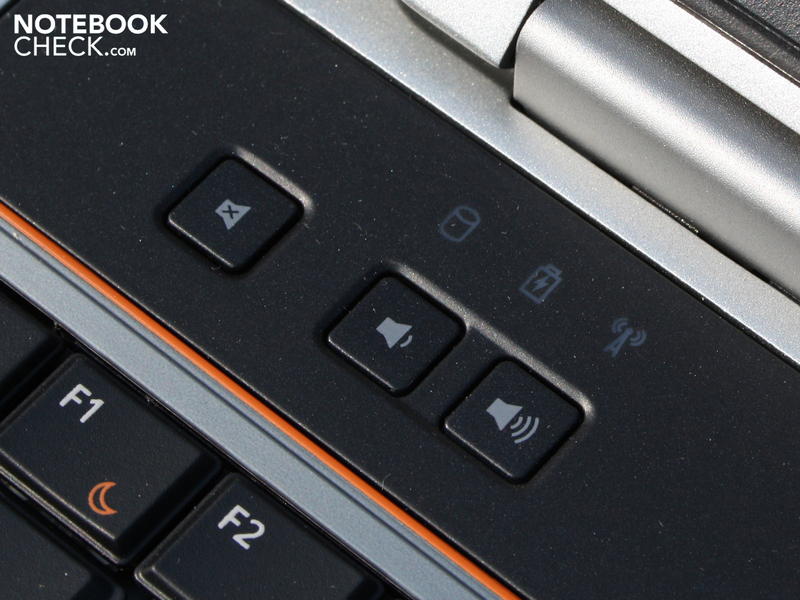 The volume buttons on the keyboard's right are praiseworthy. We only determined a runtime of eight hours in idle with lowest brightness and disabled wireless module. The WLAN test is more significant for practical use with 6:18 hours. The battery runtime is justified in view of the battery's good capacity of 60 Wh and the low power consumption of 8 to 13 watts in idle. The TFT's brightness was set to 100 cd/m2 in the WLAN test. We had to wait for a short two hours for the battery to recharge and we could continue with our tests. 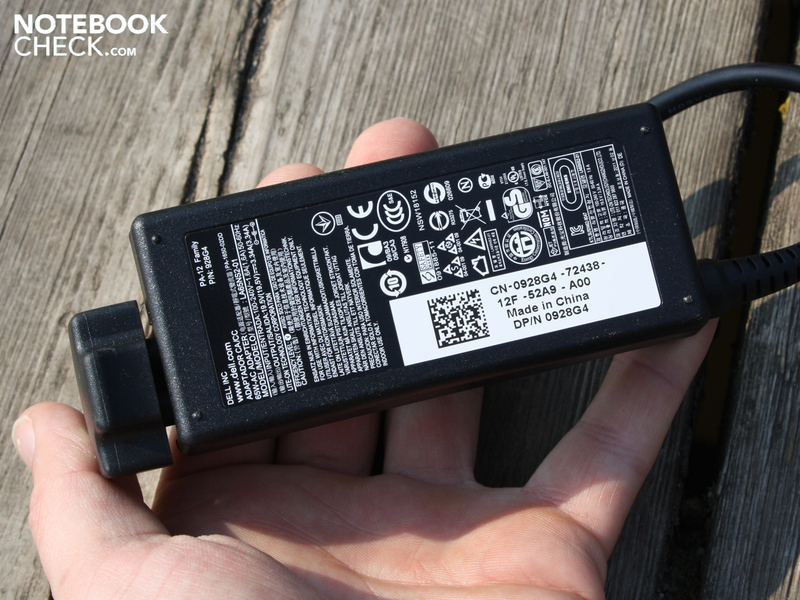 The E6520's power consumption acts in accordance to a time where resources are diminishing. The 15.6 incher handles the valuable energy economically. The Latitude's idle power consumption is between 8.5 watts (energy saving, lowest brightness) and 14 watts (high performance, highest brightness). The large span between idle and high load (CPU+IGP) is typical for the 2010 and 2011 Intel processors. 57 watts are pulled out of the mains via the power cable in the stress test, where the CPU uses the turbo function. The handy 65 watt power adapter (244 grams) has been adequately sized for this. Dell's Latitude E6520, in the comparatively inexpensive i5/HD version (1236 euros, normal shop price), finishes our tests with many bonus points. First-rate stability and haptically pleasant workmanship, including feedback-strong input devices start it off. With many interfaces and options (module bay, docking port, 3G, USB 3.0), the E6520 can be modified to suit individual needs very well. Finally, the 15.6 incher stands out with its low system noise and low waste heat. The Latitude E6520 nevertheless misses the rating Very Good, at the end of our ode of praise. The insufficient HD screen (1366x768), in addition to its matt characteristic, doesn't go beyond a simple consumer display (contrast, viewing angles). If you need and want a good display, you'll find it in the configuration alternative with a Full HD screen. 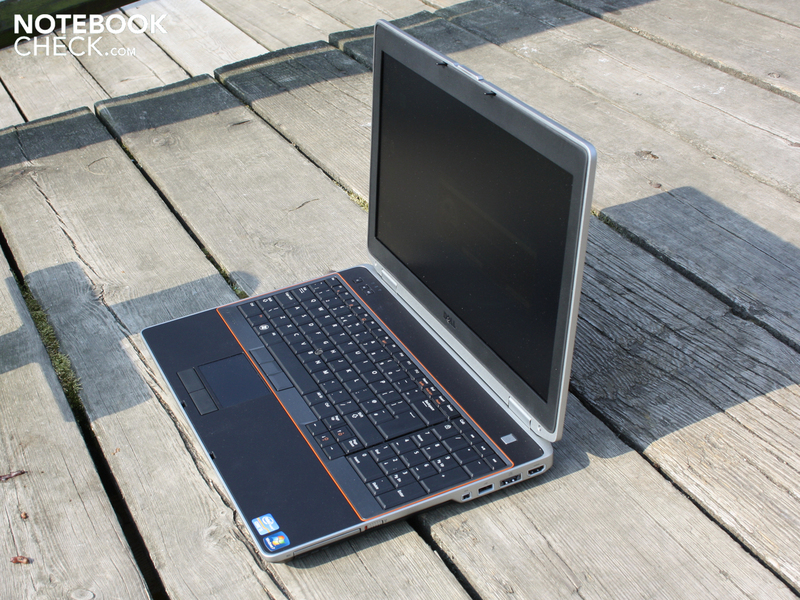 Read more about that in a comprehensive review of the Latitude E6520 i7/FHD soon to come. 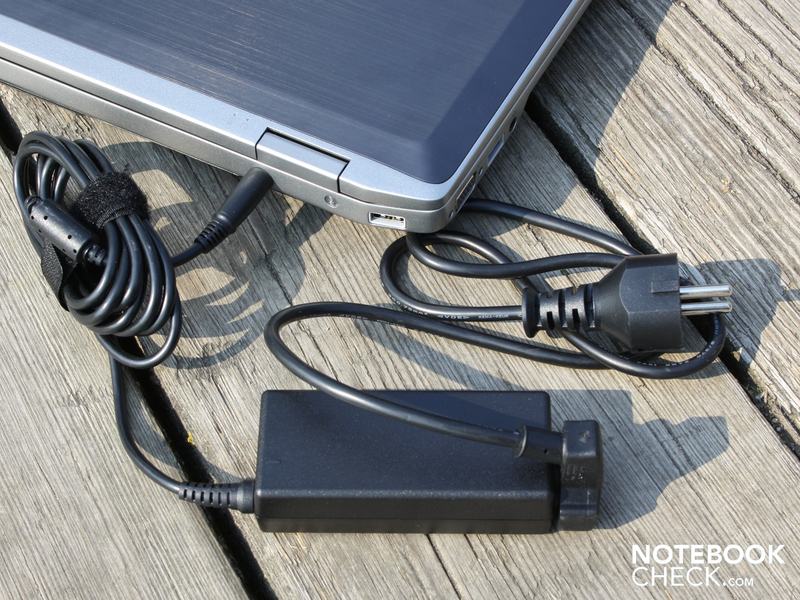 A docking port is mandatory equipment for a real business laptop (E-port). The base plate can be completely removed. The speakers are located at the front. The optical drive is in an E-module bay II. It can be replaced by a 3 cell battery (30 Wh). 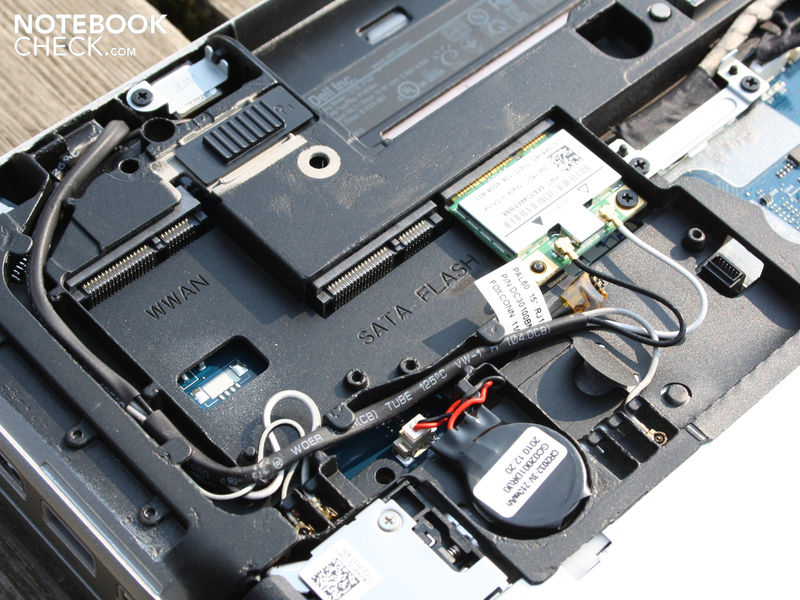 The E6520 can be optionally equipped with a HSDPA module (slot for SIMCard under battery). The battery is rolled out. 60 Wh (6 cell) keep the 15.6 incher going for 6 hours. The handy power adapter only weighs 244 grams. Praiseworthy: It's connected to the rear. A smartcard reader is used in some companies as a monitored log-in (chip card). 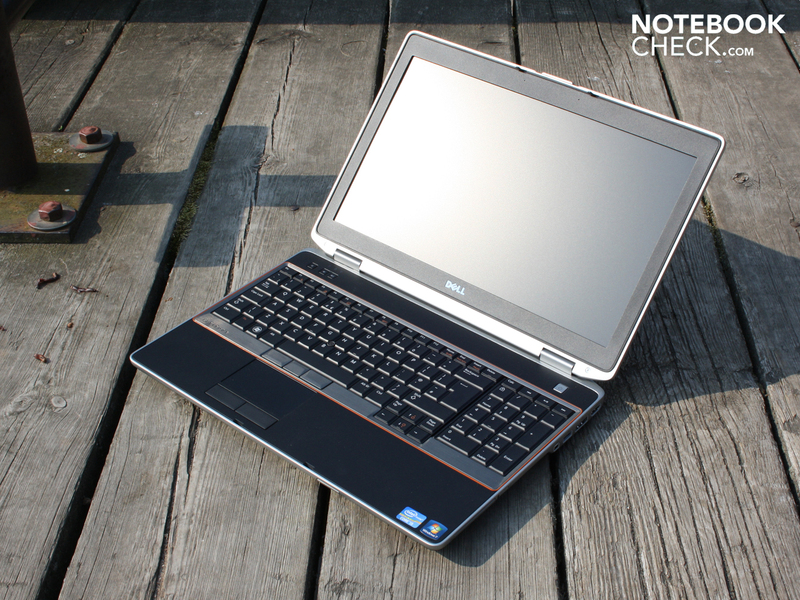 is called Latitude E6520 by Dell. 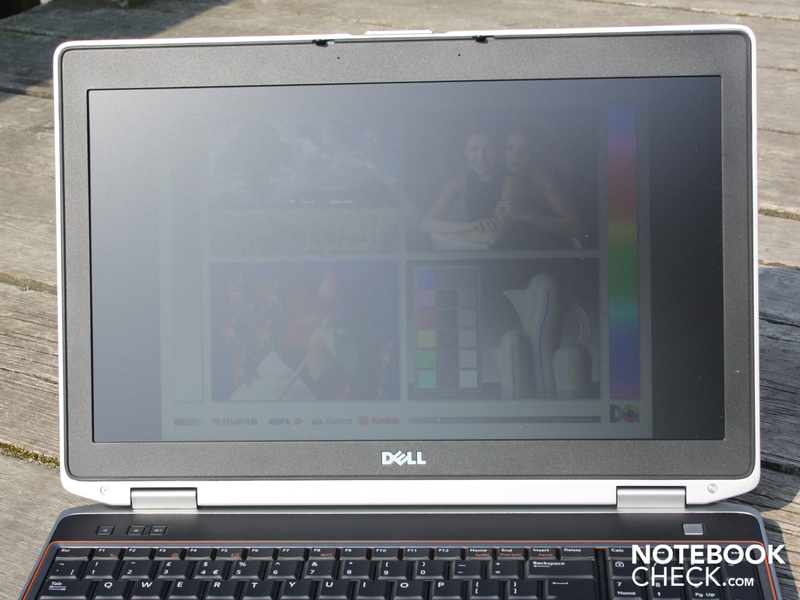 which includes the Intel Core i5-2540M and a HD resolution (1366x768). The input devices are top notch in every way. in materials and stability (lid latch). The hinges have a very tight grip on the lid. They hardly teeter. There are only hot keys for volume and mute. are installed. 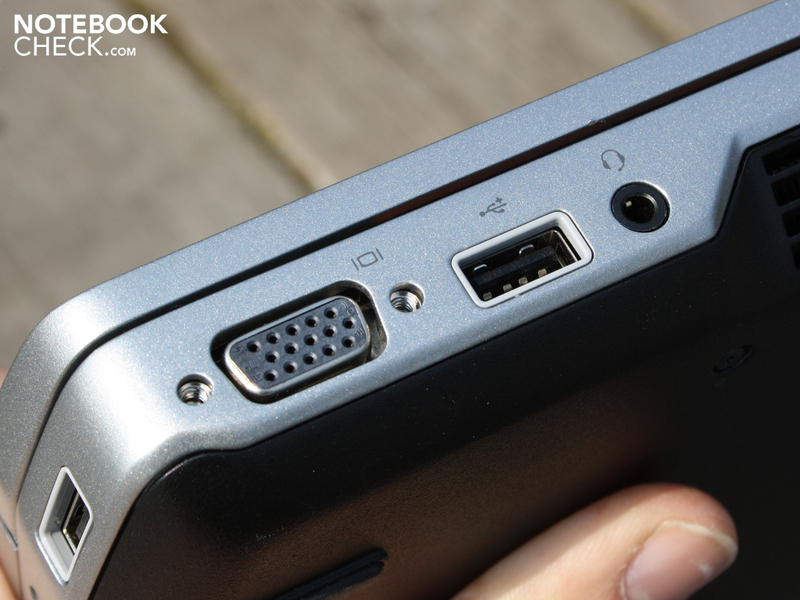 However, there aren't any cutting edge consumer ports, such as USB 3.0. There is a recovery DVD included in the scope of delivery. The keyboard's clear key drop and dual mouse replacement. The extremely stable base unit. The matt surfaces and interfaces on the rear. Contrast and resolution – but that's available for a surcharge. The almost silent operation and nevertheless high application performance.